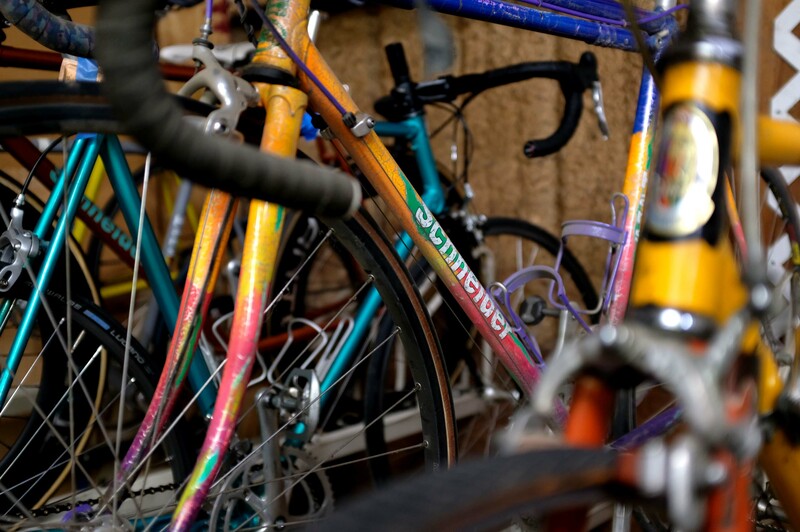 In 1976, it was an unspoken rule in Belgium that spectators would set up tents for bike racers to change & clean up in. 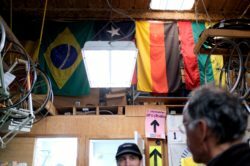 That’s how Hans described his time racing in Europe in the late 70’s; you’d make plans to get there and the locals would take care of you. 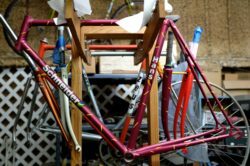 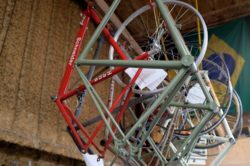 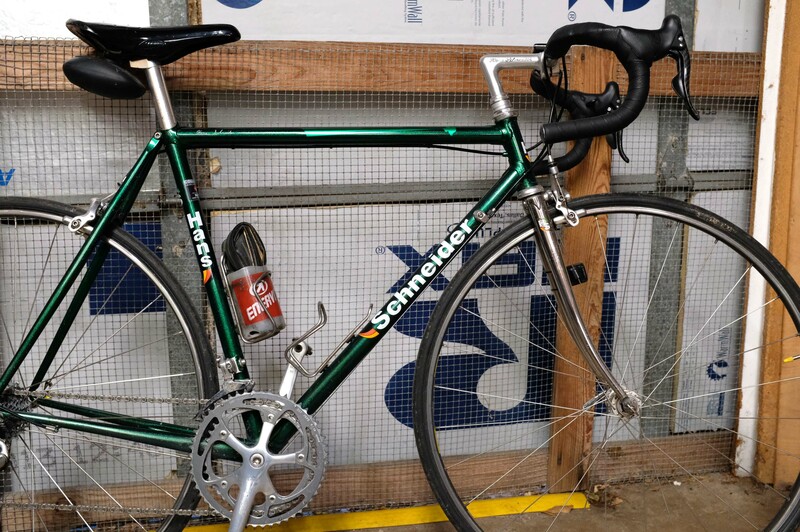 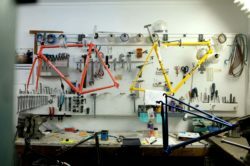 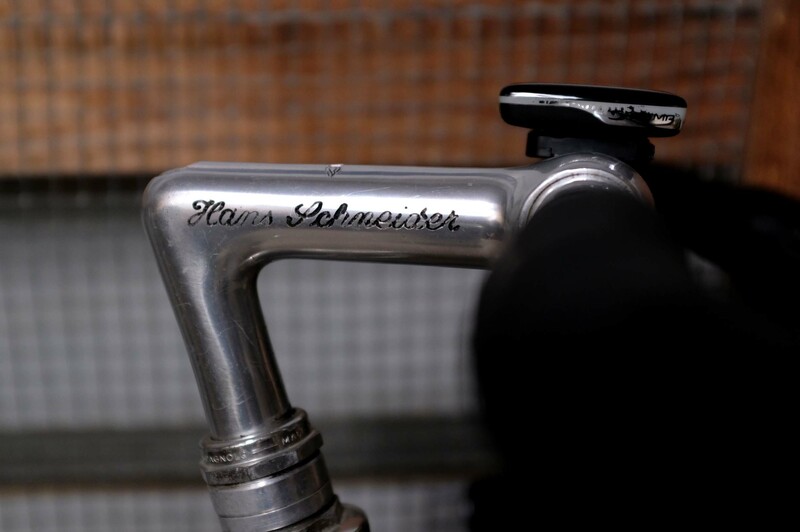 Hans Schneider has been building bicycles for over thirty years. 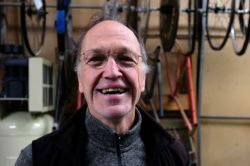 His roots in racing & traveling are evident in his traditional methods and they aren’t strayed from. 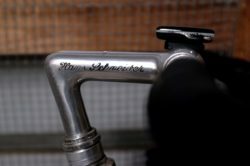 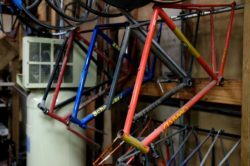 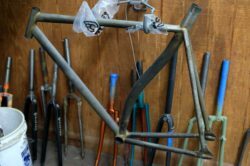 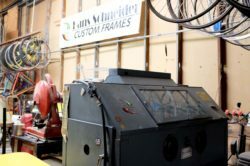 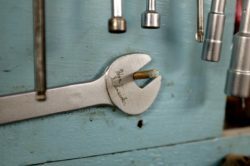 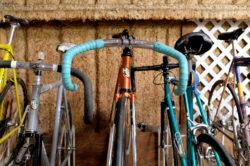 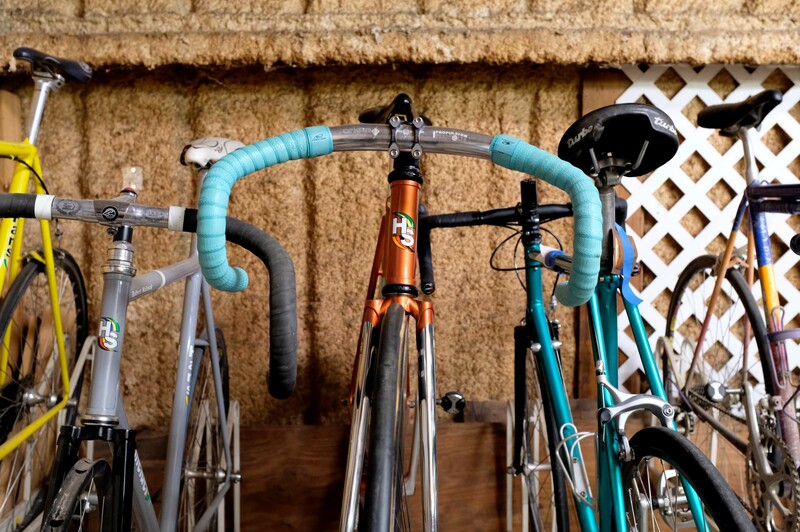 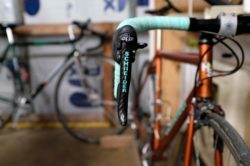 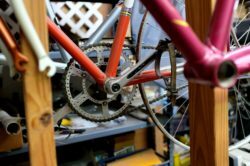 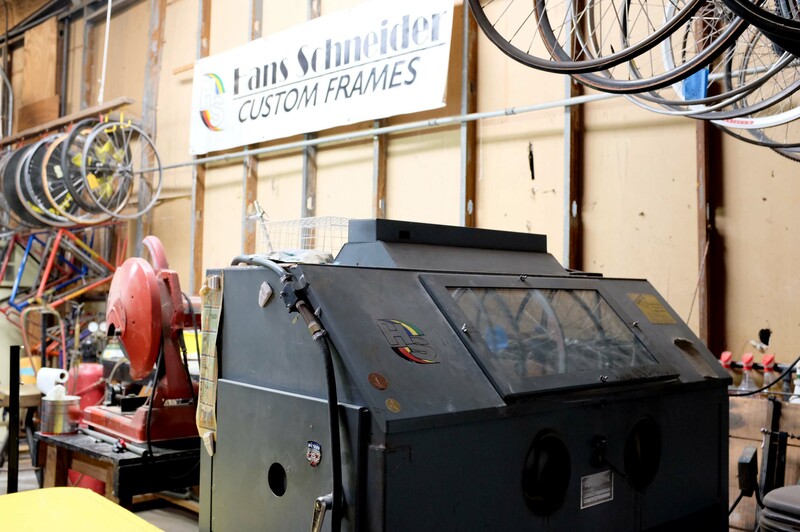 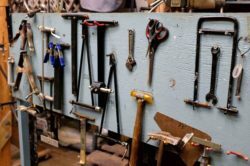 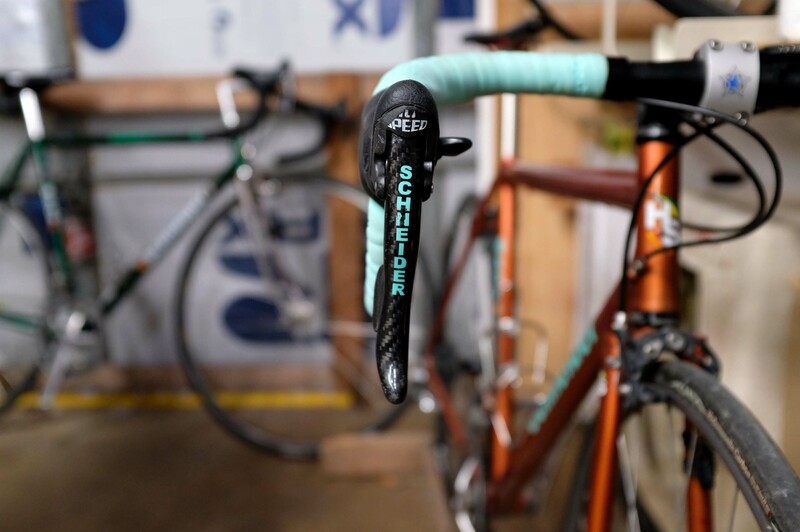 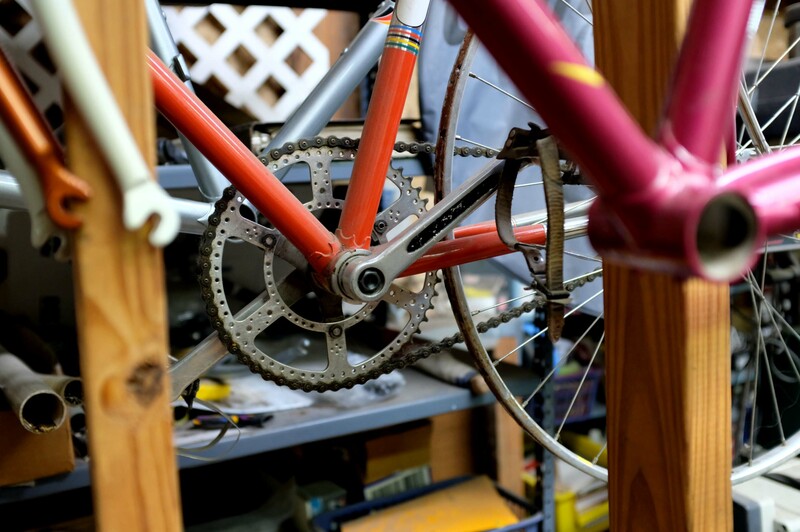 A Hans Schneider bicycle is generally comprised of steel and is made totally in house. 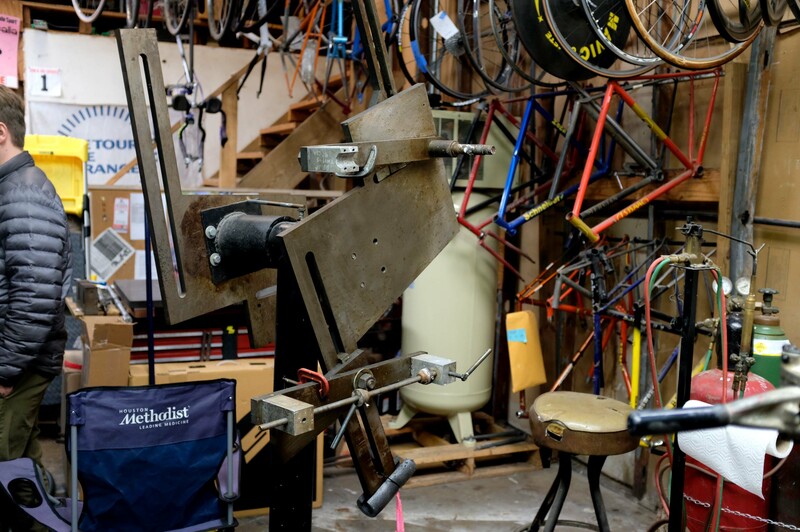 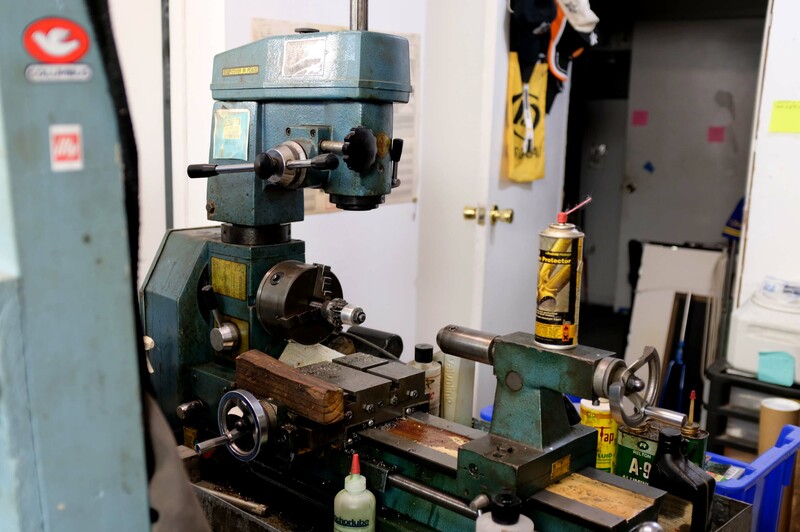 Everything from the bike fit to wheel building and final assembly is done by Hans. 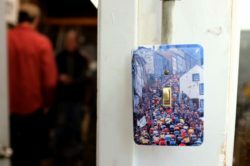 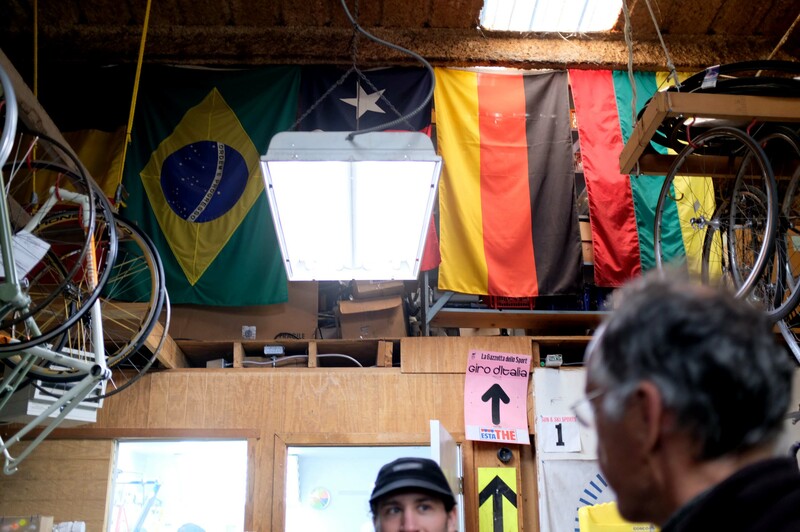 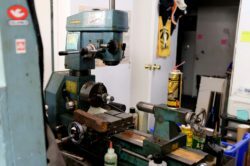 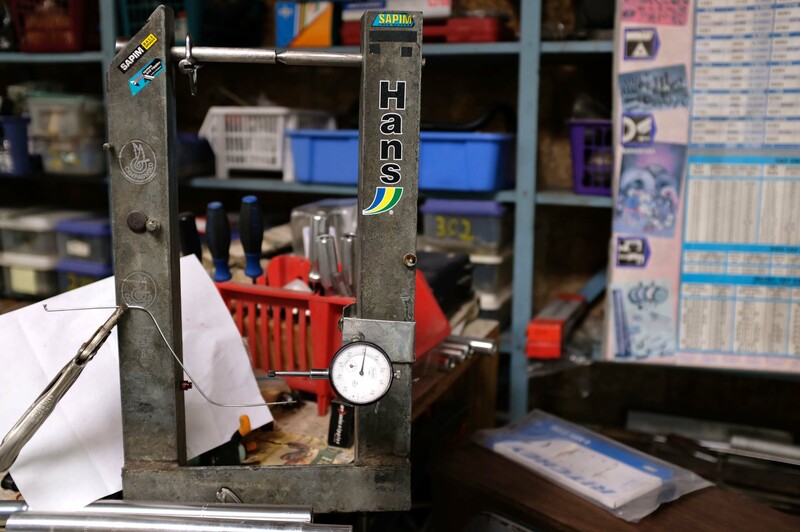 “I was building wheels for other riders in Belgium just to put a little food on my plate!” Hans remarked as we visited with him in his Huntsville studio. 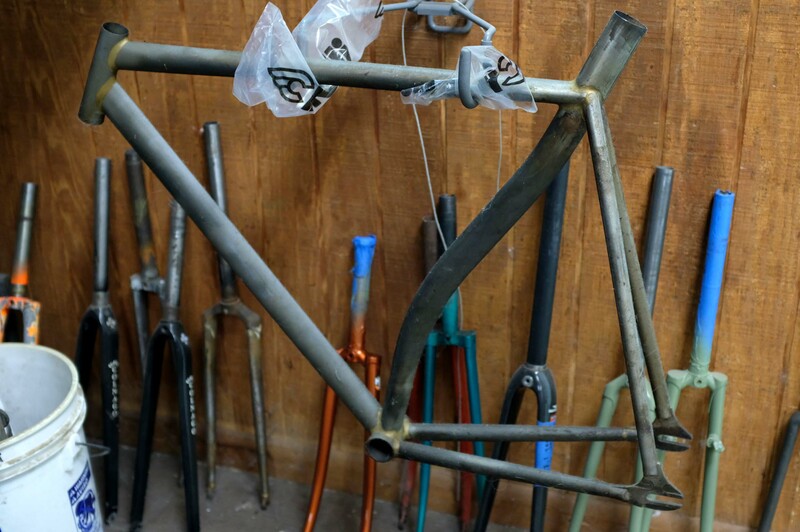 We were bringing Hans yet another frame for repair (broken brake stops on a carbon top tube this time) before riding mountain bikes in Huntsville State Park. Hans has been known to make a few aluminum frames as well as repair nightmarish damage to carbon bikes. 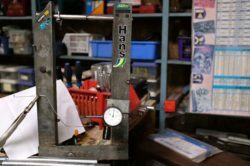 Enjoy a few of these photo’s during our visit with Hans. 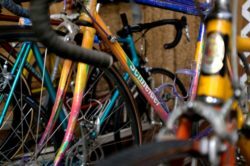 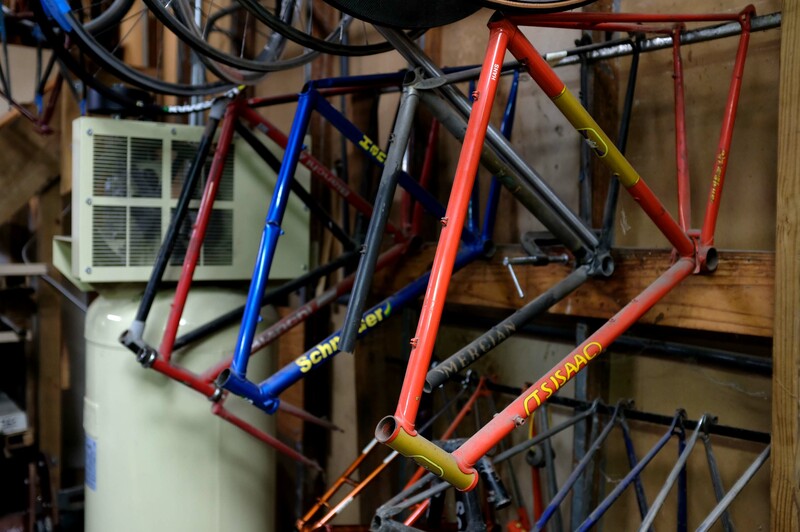 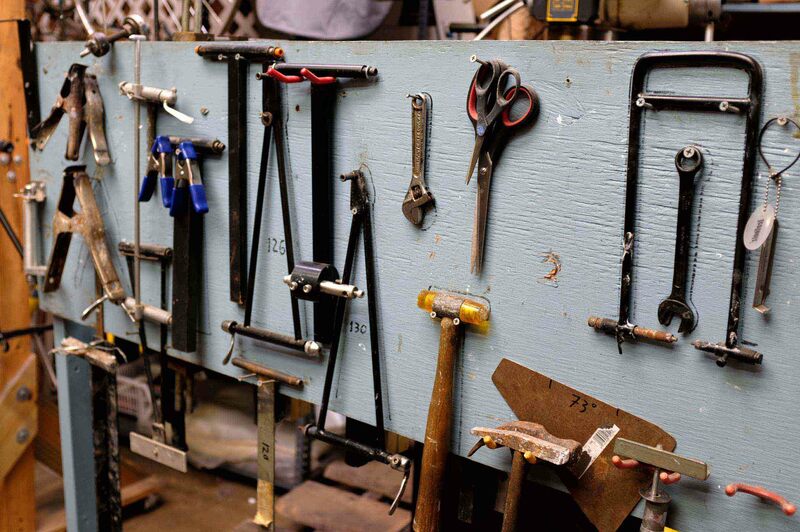 Let us know if you’re interested in a custom steel bike or need advice in the way of frame repair.